The July sun was stifling in Tampa, yet the sound of Christmas carols ran through the air and elves danced around as people sipped on hot chocolate. Iced hot chocolate. Was it the spirit of Christmas rushing us all along, trying to skip through the worst part of the summer? Not exactly. 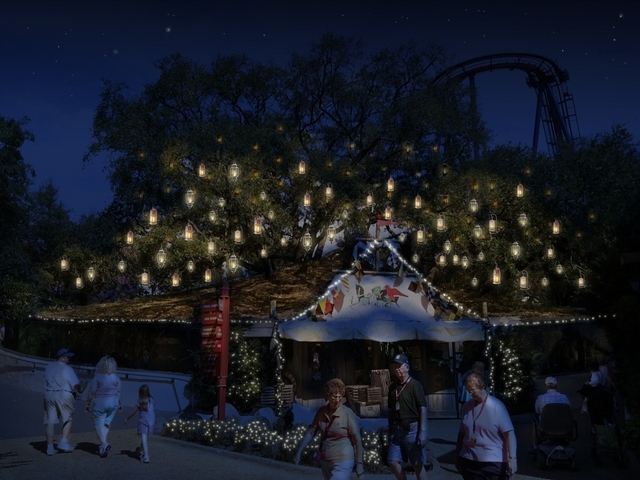 Busch Gardens Tampa unveiled details for what they hope to be a family Christmas tradition with the all new Christmastown, a brand new Christmas event coming to Busch Gardens Tampa this November. Park President Jim Dean took the stage welcoming media and guests to the presentation as pictures of Busch Gardens team members and their families celebrating Christmas. 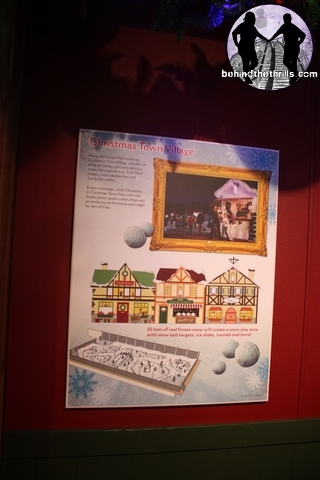 “We wanted to give you a taste of what’s coming to Christmastown this November” Dean stated. But what is Christmastown? It will be an after hours Christmas celebration at Busch Gardens Tampa. It will be a separate ticket, meaning that it will not be included in regular park admission. It’s a big shock since right down the road there are no fewer than half a dozen Christmas events, including sister park SeaWorld Orlando’s own very good Christmas event, which is included in regular park admission. 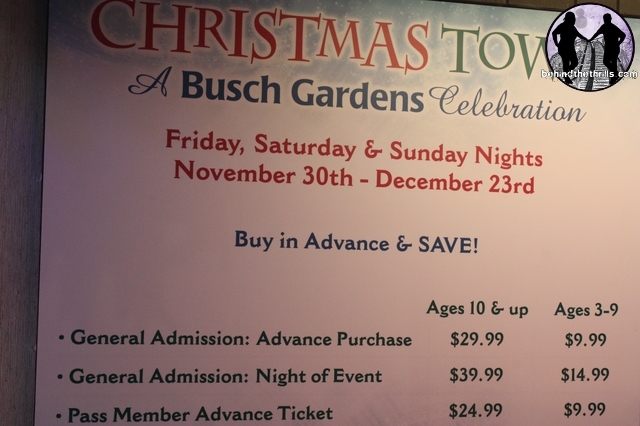 So for Busch Gardens to offer Christmastown at a price, the event has got to be pretty special. Celebration Village brings together the rich, warm colors of Christmas and heartfelt voices lifted in song to welcome guests as they enter Christmas Town. Draped in jewel-tone ornaments and glowing lights, the Moroccan Village comes alive with local choirs in the Marrakesh Theater and shops full of holiday gifts. Family and friends will cozy up to brave the chill in the air along Ice Wonder Way. The frozen pathway sparkles and shimmers in the night as snowflakes dance down the front of the Moroccan Palace, welcoming guest for special performances of the all-new Christmas Town ice show. World-class skaters will bring to life favorite Christmas songs both traditional and contemporary, in a cool, all-new snow-inspired ice show, produced especially for Christmas Town by the creators of Christmas on Ice and Iceploration. Wild colors, exotic decorations and intricate animal patterns create the kind of Christmas found only in nature! 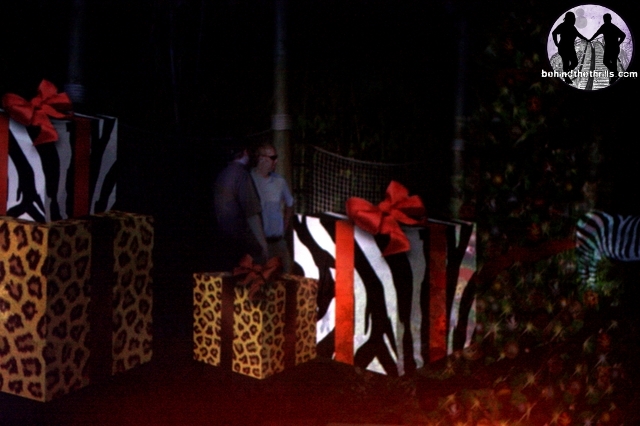 Stretching along the Cheetah Hunt walkway, Jungle Jubilee welcomes guests to Florida’s only triple-launch coaster and the iconic Crown Colony restaurant, featuring special holiday fare and the new Carol of the Bells light show. 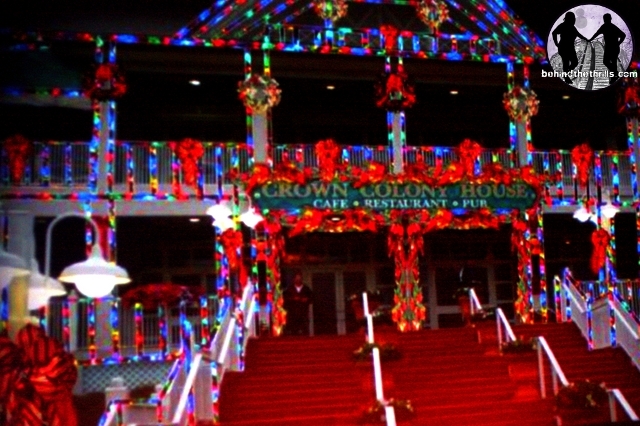 Busch Gardens’ Crown Colony House restaurant sets the stage for a stunning ballet of music and light each night under the stars. The Carol of the Bells features tens of thousands of Christmas lights covering the façade of the stately building, set in motion to a choreographed presentation of stirring seasonal songs. 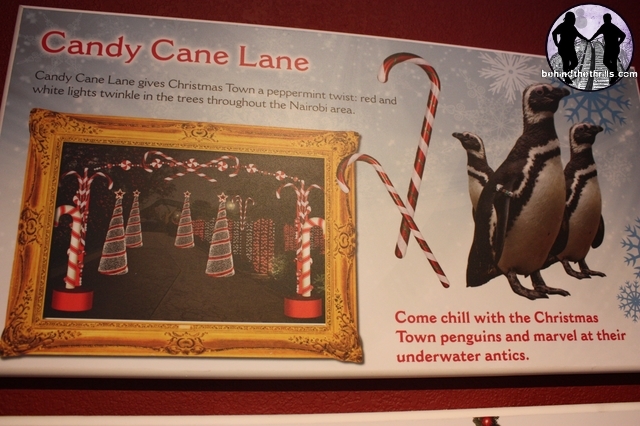 Just around the bend, Candy Cane Lane gives Christmas Town a peppermint twist. Red and white lights twinkle in the trees throughout the Nairobi area, calling to mind the beloved Christmas confection and pointing guests down the path to the Christmas Town Express and Santa’s House. Experience the humble magnificence of that first Christmas night and remember the real “reason for the season” and along Miracle Way. 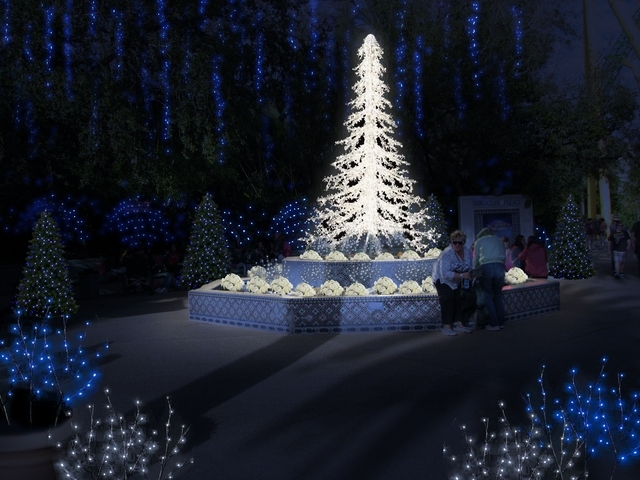 Guests will marvel at a topiary representation of the Holy Nativity and illuminated angels, set along the Stanleyville Bridge in the warm glow of Christmas lights and sacred holiday music. Christmas has come to Sesame Street! Elmo and his friends are all dressed up in their holiday best at Sesame Street Season of Fun, ready to pose for pictures and plenty of hugs with kids of all ages who stop by to wish them a funny, furry Christmas. 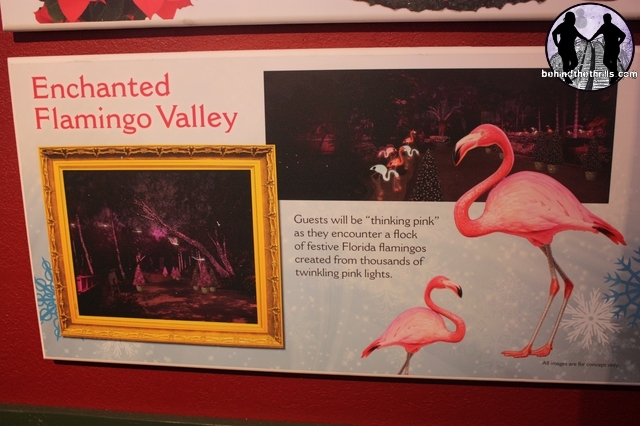 When it’s warm in December and there’s more sand than snow, celebrate a Floridian Christmas with a touch of the tropics in the Enchanted Flamingo Valley. Guests will be “thinking pink” as they encounter decorated palm trees and a flock of festive flamingos created from thousands of twinkling pink lights. 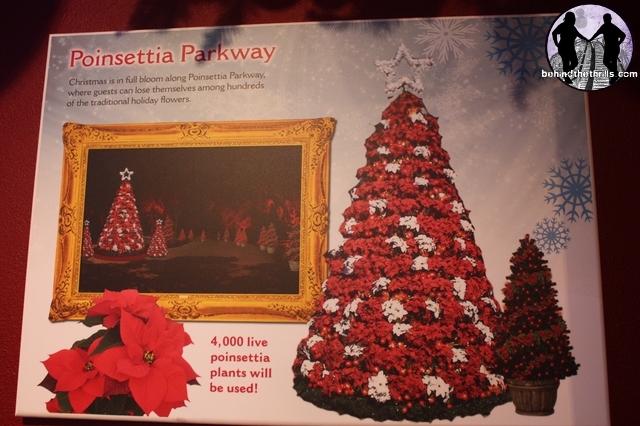 Christmas is in full bloom along Poinsettia Parkway, where guests can lose themselves among hundreds of the traditional holiday flowers and feast their senses on delicious holiday treats. 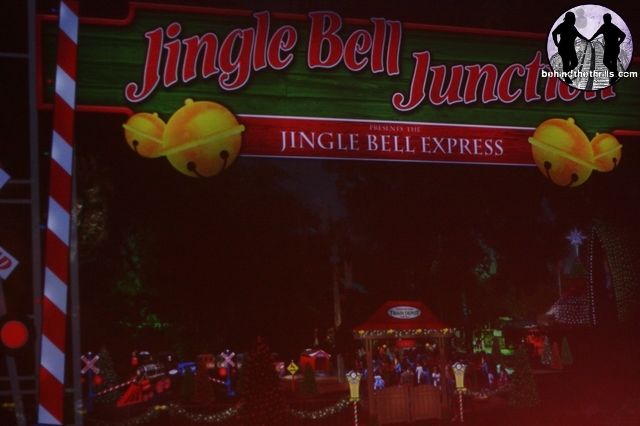 On your way to play in the snow, stop by Jingle Bell Junction and climb aboard a pint-sized train for a holly-jolly ride designed especially for young guests, located at the crossroads of Christmas Town in Gwazi Plaza. Guests can find the perfect holiday gift or indulge in a delicious seasonal treat as they explore Christmas Town Village. Set along the Gwazi Park walkway, tiny Christmas cabins will scent the air with seasonal treats like apple pies and strudels, gingerbread cookies, eggnog and roasting nuts, as well as a delicious array of flavored popcorns, roasted nuts, waffles with ice cream, fruit-filled crepes, rustic sandwiches, homemade potato chips and Starbucks coffees and hot chocolate. All aboard the Christmas Town Express for the biggest Christmas carol sing-a-long on wheels! Friends and family are invited join in singing traditional songs of the season like “Jingle Bells,” “Frosty the Snowman” and “Rudolph the Red-Nosed Reindeer” while circling the park on a beautifully lit vintage-style steam locomotive. 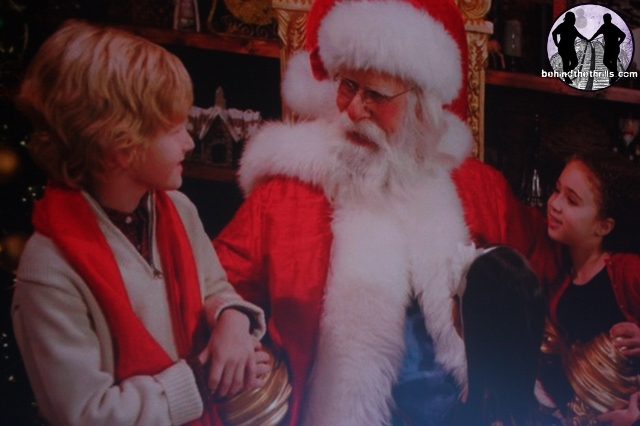 The Claus family invites you into their North Pole home at Welcome to Santa’s House. While the elves are busy preparing for Christmas, Mrs. Claus is in the kitchen baking holiday treats, but even Santa himself will take a break from his busy holiday schedule to meet and take photos with families in his private study. 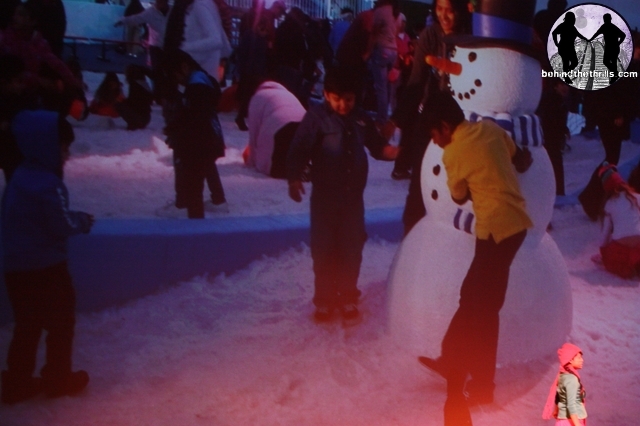 Straight from the South Pole, the Christmas Town Penguins have brought a bit of ice and snow all the way to Florida! Come chill with these dapper little creatures and marvel at their underwater antics at the penguin habitat, located near Candy Cane Lane in the Nairobi area. On top of all the great Christmas Town activities at Busch Gardens, each night guests will be treated to two live concerts by traditional Christmas classics, and Grammy Award winning artists. 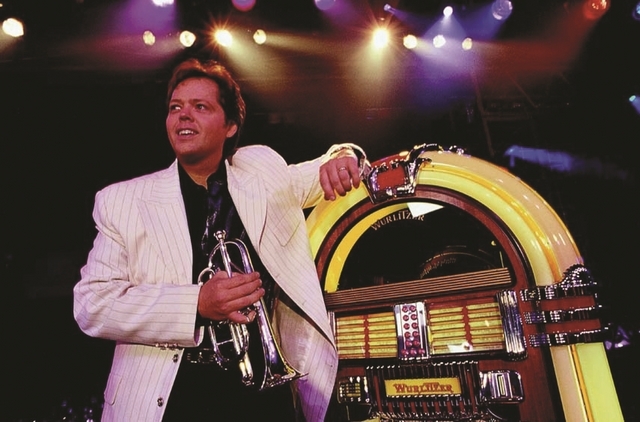 Jimmy Osmond’s Christmas Jukebox features Jimmy Osmond and his family singing favorite Christmas tunes and sharing special holiday memories each night in the Stanleyville Theater. In the true spirit of Christmas, Busch Gardens is joining Jimmy in his work with the Children’s Miracle Network, and will be making a donation to local Tampa Bay-area kids in need. 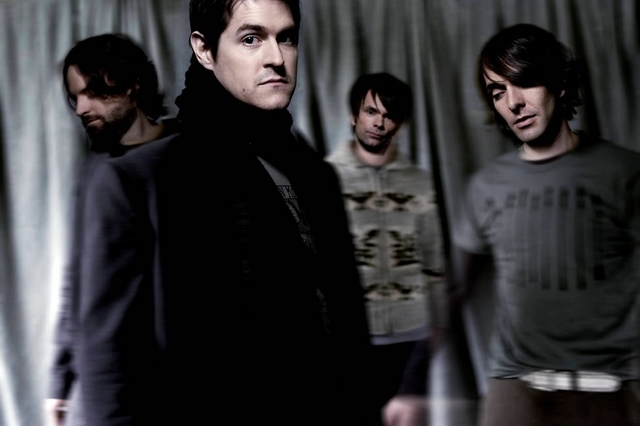 Grammy Award-winning contemporary Christian artists Jars of Clay will provide an uplifting finale each evening with an exclusive concert in Gwazi Park. Performing both original hits and holiday favorites, the group will send guests on their way with music in their hearts and the spirit of Christmas in their souls. The park will also offer a special buffet called “Mrs. Claus’s Family Feast” in which families can enjoy food, treats and stories told by elves. After dinner you can enjoy no lines to see Santa, and the Snow Wonderland area. 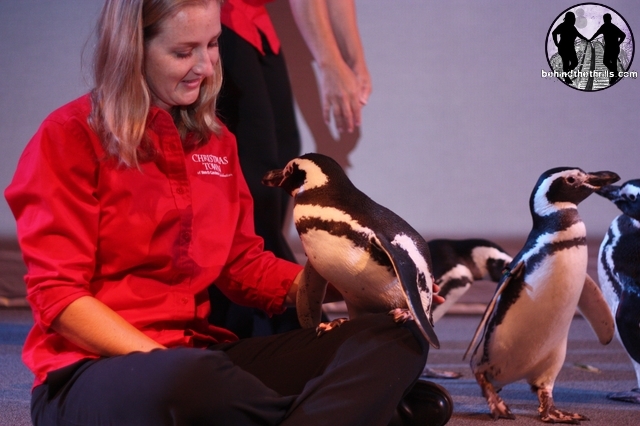 As for the presentation, we were treated to a wide array of pageantry, songs, penguins and of course snow! 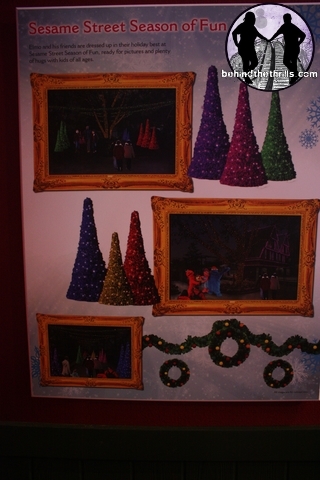 If you want to see a little taste of Christmas Town yourself, right now, the park also opened up the brand new Christmas Town Preview Center. It’s located in the Timbuktu area, right next to Sandstorm and the Desert Grill. 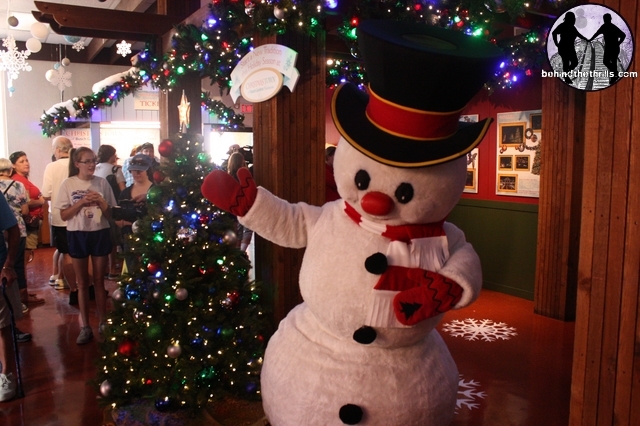 In the preview center, guests can purchase tickets, purchase gifts and learn more about what’s coming to Christmas Town, as well as meet a few special new friends. Guests can purchase advanced tickets, and passholders can purchase tickets at a discount. 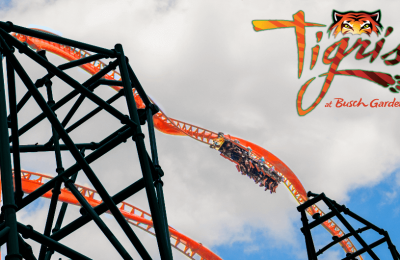 From now until July 17th, passholders can purchase tickets for just $10 dollars. 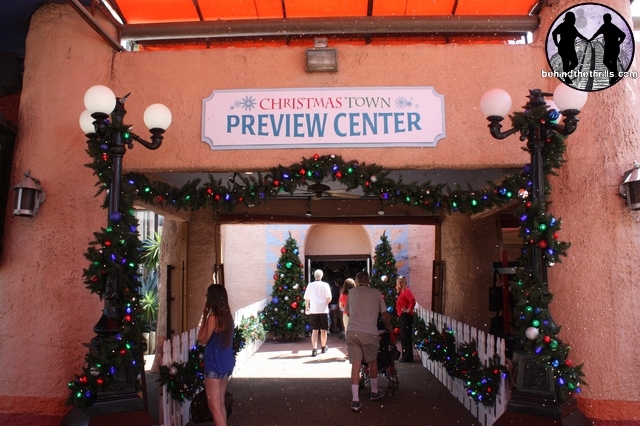 Tickets can only be purchased at the Christmas Town Preview Center. 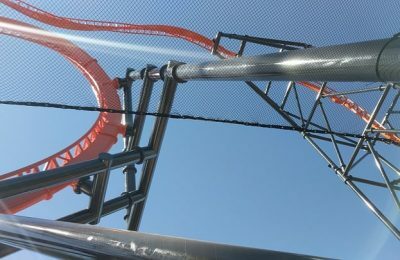 Popular rides will be open. 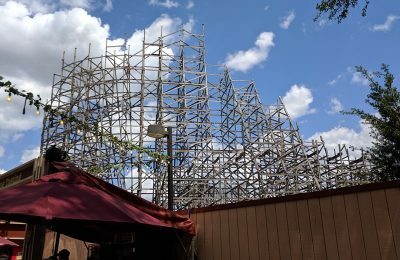 Gwazi, Cheetah Hunt, and Sheikra are definitely on the list of open coasters. The event will start at 6 p.m. and last until 11 p.m. on all event nights. Christmas Town guests can arrive at the park as early as 5p.m. 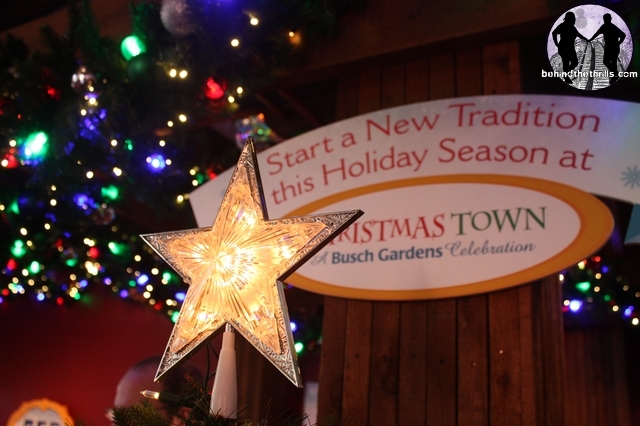 For even more information, including tickets, be sure to visit the official Christmas Town website!